LEGEND WAS AVAILABLE FOR SALE, ONE DAY ONLY, VINYL ONLY (w/free digital download) – APRIL 18, 2015 – AND THE SALE IS NOW OVER! ABOUT “LEGEND” by MC Lyte feat Common, Faith Evans, Kenny Lattimore, Lil Mama, Coko and more! 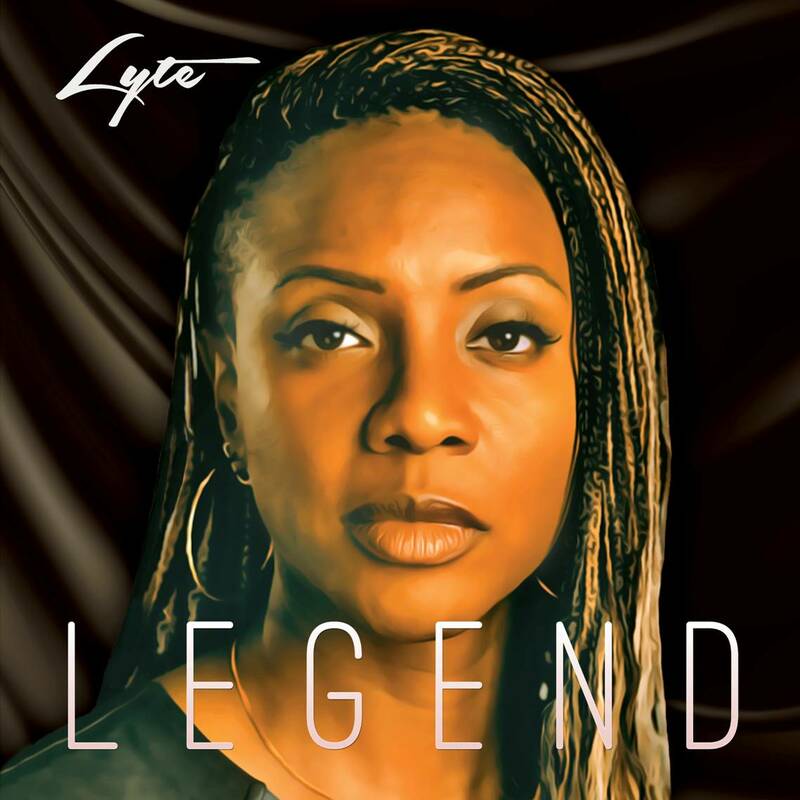 MC Lyte’s “LEGEND” album, to be released April 18, 2015, her first in over eleven years, merges the classic sound of what made her popular in the beginning together with the new, edgy, compelling sounds of the 21st century. LEGEND WILL BE AVAILABLE FOR ONE DAY ONLY IN VINYL FORMAT ONLY at independent record stores nationwide: details, locations, and online options are a twww.mclyte.com. Together with the assembly of 10 amazing musicians, this project aims to put the edge, truth and melody back into Hip Hop; hence, the second single release, Dear John, charted on the billboard and met instant rave reviews. From hard hitting kicks and snares that represent the genre of Hip Hop to the new pad sounds and synths that take the listener beyond this moment and the heavy bass lines that give way for Lyte’s showcase of pure lyricism, LEGEND is a perfect combination of what WAS and what IS and it’s ALL MC Lyte . . . current but still way ahead of her time. “Check” is a classic display of MC Lyte’s lyrical swag wrapped in a beat reminiscent of the underground hip hop movement destined to please the most devoted of Lyte fans. On November 13, 2014, MC Lyte released the LEGEND single, “Ball” featuring Lil Mama, a high energy, current track that solidifies MC Lyte’s position on the Hip Hop throne of musical relevance. On September 9, 2014, the world experienced the musical genius of MC Lyte’s first Billboard charting single in 11 years and LEGEND’s debut single, the ground-breaking urban hit “Dear John,” featuring Common and 10 Beats. “Dear John” is the anthem for #EducateOURMen, which is the signature scholarship initiative of MC Lyte’s Hip Hop Sisters Foundation, which presented three $50,000 scholarships during the Soul Train Music Awards to men of color to attend Dillard University (www.hiphopsisters.org/news). On June 25, 2013, the world got a sneak peak of what was to become LEGEND with the release of the single Cravin’. Creativity met soulful classic with this release, produced in part by Michael Beardin, MD to the greats, including Lady Gaga and the late Michael Jackson.